Well its a new year and hopefully a new start. 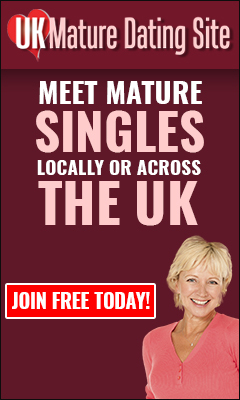 I thought I would see if this is the way forward to finding my soul mate. I am fun loving and an independent lady that is a romantic at heart. I have a good work / life balance now and would love to meet someone to share happy times. I love country pubs with roaring fires, to eat out and to stay at home just chatting and snuggling up. I have two grown up daughters away at uni and until a few weeks ago a gorgeous dog that has left a massive void. I want to meet someone who is wanting the same goals as me. To have fun and laugh but ultimately find the right person to share a life with. I would describe myself as feminine, as I love to dress nice in heels and skirts…I am no tomboy. If I sound your type then please drop me a message. I’m a caring, sensitive being with emotional intelligence. Looking for fun, smiles and laughter. Enjoy travel, sightseeing trying new experiences. Enjoy good wine and conversation. Jet boating in New Zealand. I am 51 years old and a Widow. I have 2 adult children who live independently. My ideal Partner would be between 47 and 54 years old and in a similar position regarding children. My interests are entertaining, walking and more recently I have joined a fitness club which I am somewhat surprisingly enjoying….. I am a warm, kind, generous, loving woman with a huge capacity for empathy and understanding, I love to talk and to listen. I have a sense of humour and enjoy fun and laughter, I am an observational person taking delight in natural beauty. it is time now for someone to treat me with tenderness, attentiveness and affection. I have a love of music, culture and the arts, as well as more earthy interests like boat rides and train journeys, especially steam trains. the theatre is a delight, I love a saucy burlesque show, good food and wine are a particular pleasure. I would just like in some small way to be looked after, to feel cared for maybe even cherished…. Hi.im a fun loving gal.i love to laugh.my kids are my world .im looking for someone to care about.to love.I enjoy walking my dogs and going swimming.I like to go out but love nights in snuggled on the sofa.I’m not high maintenance.just like the simple things in life.